O.P. 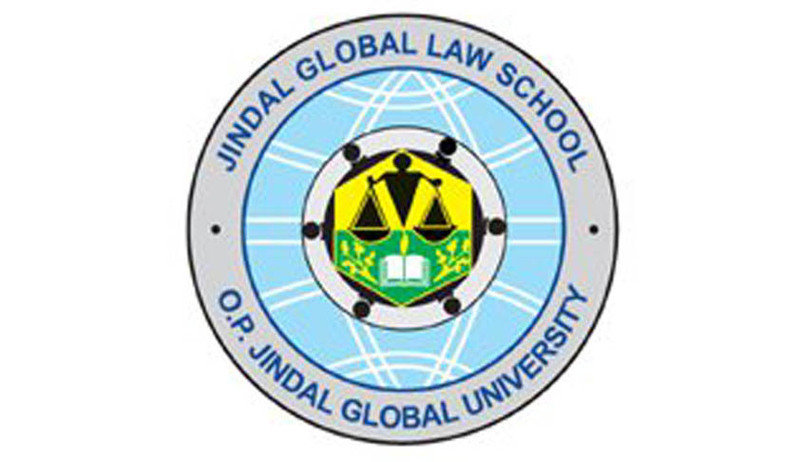 Jindal Global University (JGU) is organizing Coase Brief Competition 2015 (CBC). CBC is the first of its kind, inter-disciplinary competition which aims to provide a platform for the participants to analyze and probe complex problems faced by governments, civil society, industry and mankind in general, in the form of a hypothetical case study. The 1st Jindal- Economic Laws Practice (ELP) Coase Brief Competition was successfully conducted on 25th April 2014, with the winners receiving a prize of INR 50,000. The purpose of CBC is to provide a platform for different sections of academia and society to intellectually engage on issues whose viable solutions cannot be offered within narrowed silos of single academic discipline For this purpose, it aspires to bring together students from diverse disciplines and universities across the world to participate in the competition. For example, a law student from NLS Bangalore could collaborate with a MBA Student in IIM Bangalore and also with a Humanities and Social Science student of Christ University. This helps engage students from different disciplines and courses to come together and collaborate on a common issue. We are delighted to invite students pursuing undergraduate or postgraduate courses to participate in this first of its kind, intellectually engaging competition. The competition is named after Ronald Harry Coase, a British economist and author. (1)Students pursuing any Undergraduate/Post Graduate course in any recognized Institution/University in India or abroad only can participate in CBC. The highest academic qualification of students should not be above the Masters Level. (i)A team may consist of students from one or more universities. (ii)Each team shall consist of minimum two and maximum five members, out ofwhich there shall be at least two speakers. All the teams are required to submit a preliminary brief composed of not more than 1000words on or before December 8, 2014 (11.59 pm). Deadlines and other dates will be as per Indian Standard Time (IST). Shortlisted teams will then be required to submit threemore briefs on three different case studies for the Quarter-finals, Semi-finals and Finalsof not more than 1000 words by March 08th 2015. A paragraph highlighting the primary issues in brief (maximum 100 words; in addition to1000 words of brief), referred as the ‘Scope of Issues’ should be included in the beginning. Index of Authorities/References (can also include various books, reports, surveys, theories, facts, statute, conventions, contracts etc) should be included after the 100 word Scope of Issues and 1000 word Brief. Teams need not mention whether they are taking a Gambit (Kindly refer to the section on Oral Rounds) in their written brief. Font type: Times New Roman b) Font size: 12 c) Line spacing: 1.5 d) Body of text:Justified.7. For Footnotes, the formatting specifications are:a) Font type: Times New Roman b) Font size: 10 c) Single spacingd) Paragraph spacing: 0 e) No additional space between 2 footnotes f) Body of text:Justified8. Each page (including the preliminary pages) must have a margin of 1 inch on each side. Click here for Schedule, Case Study of the previous edition, Primer for CBC 2015.